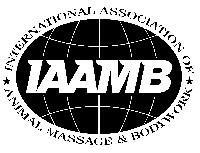 If none of these are conveniently located for you, go to the member list for the International Association of Animal Massage & Bodywork, and then choose the state where you are located. Due to decades of breeding, most dogs are born with structural imbalances, both purebred and mixed breed dogs. Structural imbalances can hinder a dog’s natural movement, causing muscle strain and discomfort from normal activities such as walking and running. These problems will compound over the years and result in middle-aged to older dogs who have trouble performing normal activities, like running around the park. Professional canine massage can improve the function of the dog’s muscles, thus minimizing the negative impact of structural imbalances over time and reducing vet bills later in life. Athletic dogs can also strain their muscles, just like people. This includes the "professional" canine athlete performing in obedience, flyball, herding or agility as well as the "weekend" doggie athlete who goes for a long hike or dog park play session. Dogs often strain muscles but unlike people, may hide their symptoms until they become extreme. Their survival instincts tell them to “hide their pain” in order not to appear weak to the rest of the “pack”. Also, dogs can become so enthusiastic about what they are doing or so anxious to please their owners that they keep performing even though injured. For example, a herding dog may keep working on herding sheep until its paws are bloody. Massage is also thought to benefit elderly dogs, inactive dogs and dogs recovering from injuries by improving circulation in the muscles and lymphatic system. Elderly dogs suffering from stiffness and arthritis often feel better, move easier and experience less pain after a massage session. Massage is also thought to have behavioral benefits, such as helping to relax aggressive or hyperactive dogs or building confidence in shy, fearful dogs. Dog show exhibitors know the benefits of massage in helping their dog feel, look and move better. Owners competing in conformation showing often get regular massage for their dogs enabling them to perform better in the ring, thus winning more shows. Even if your dog is not a champion show dog, don't they deserve to feel good from regular massage sessions? While there are no scientific studies yet proving the benefits of massage in dogs, many owners and veterinarians report enhanced well-being in dogs receiving it. 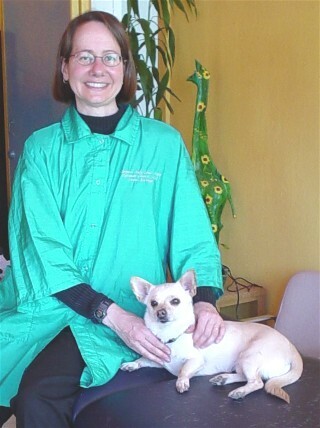 Canine massage, like good nutrition and exercise, is an important component of preventive health care for your dog.